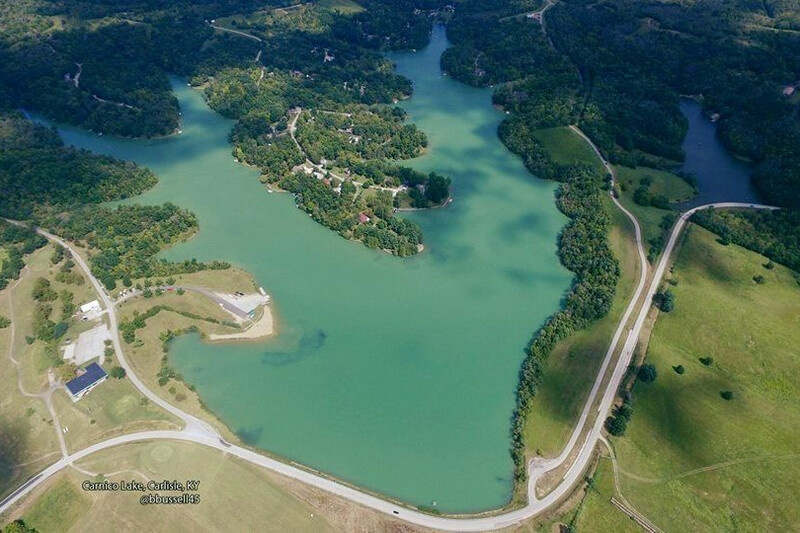 A far-sighted group of local citizens bought up farmland, built a dam, and established Lake Carnico as a social, recreational and residential center on Highway 68 (Maysville Road). The lake spans 150 acres. A large portion of the lake's shoreline is available for public use with other areas designated for private residences. Boating, swimming and golfing are available. The boat dock, beach and Carnico Golf Course are located on North Lakeshore Drive. The Fish & Game Club is on South Lakeshore Drive. Directions: Lake Carnico is 3 miles north of Carlisle. From Downtown Carlisle, travel north on Highway 32 then turn left onto Highway 1455. If traveling Highway 68, turn right at the Highway 1455 junction and travel 1/8 mile.